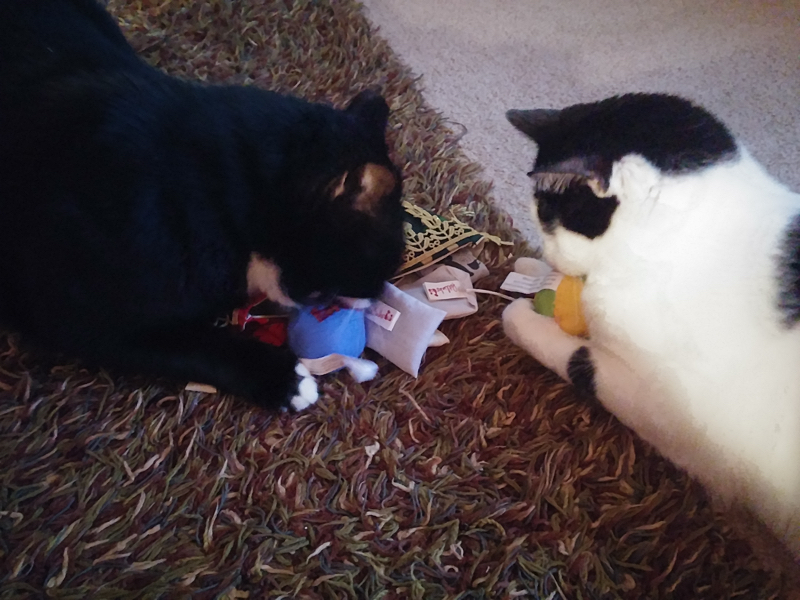 I snapped a few photos of Lloyd and Sylvester when we let them 'open' their stocking gifts. The photos are definitely not the best quality, as most of them were blurry, but it was fun to watch and I thought some of you would appreciate them. 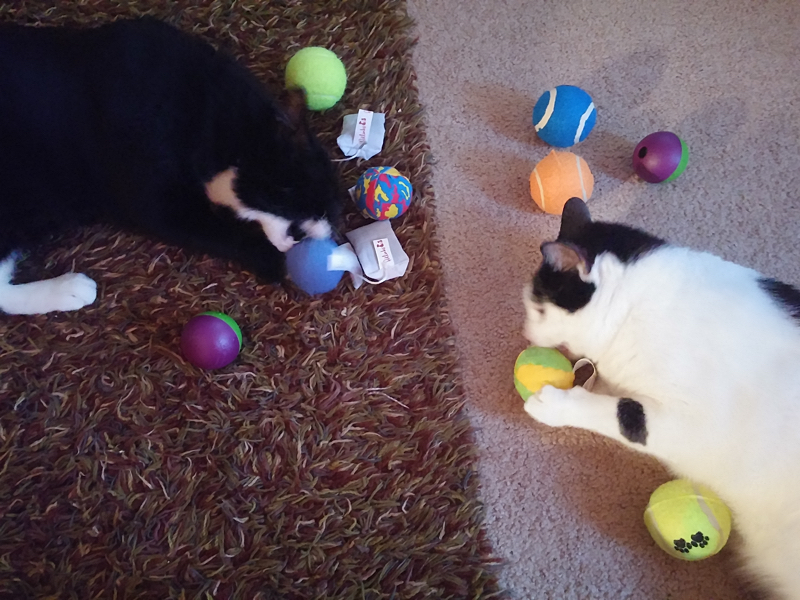 We got them a few catnip toys (that's what made them super crazy all morning!) along with some tennis balls. 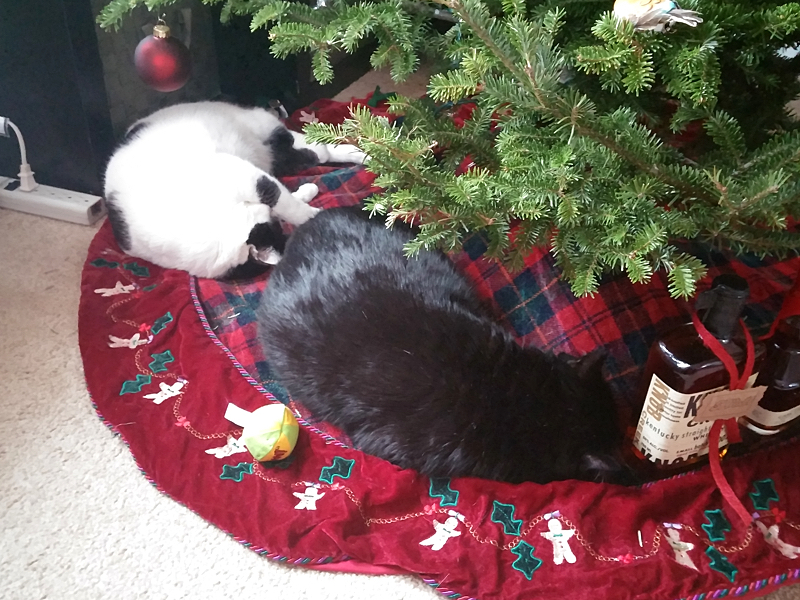 They ran around for a good hour or so and then spent the rest of the day passed out under the tree or on the couch with us. It was very entertaining to watch! 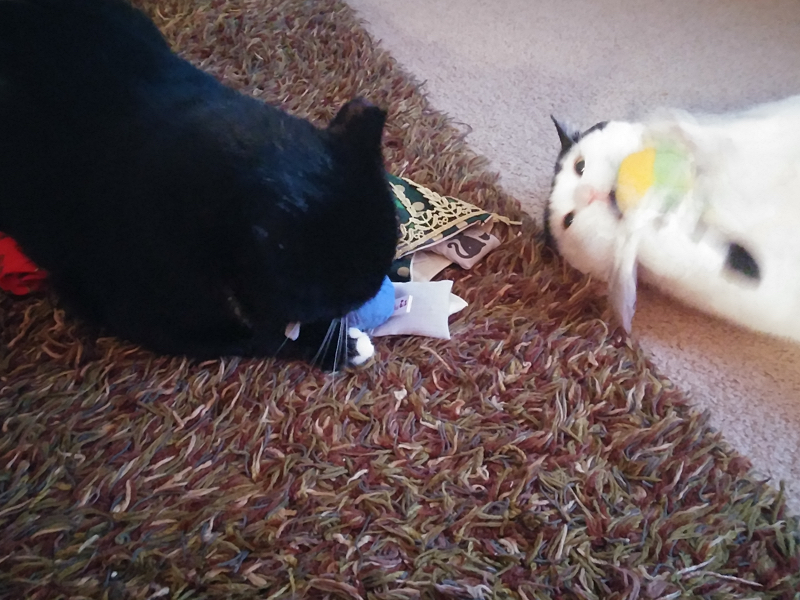 Looks like they really enjoyed their presents, it takes my cats ages for them to get use to new toys. We brought them a sleeping corner piece of furniture, that they aren't interested in lol. I love their crazy faces! 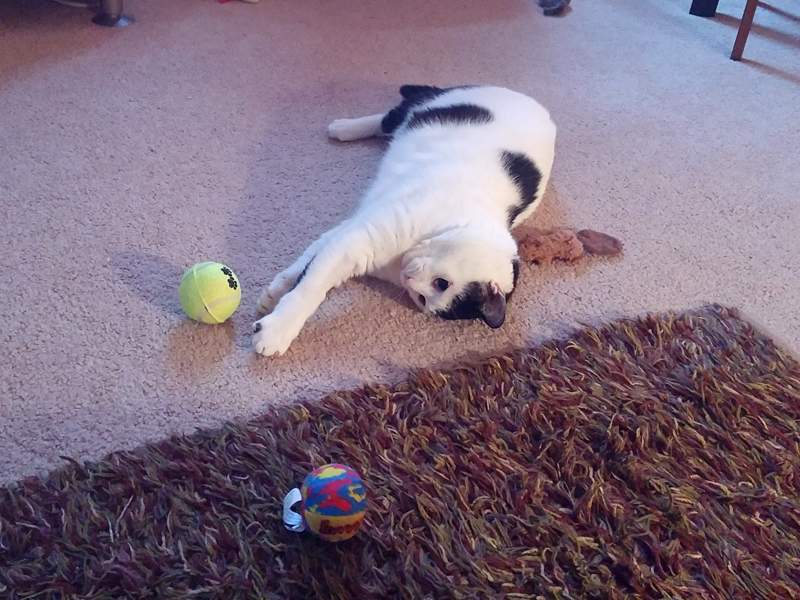 Mine love tennis balls too, which I found surprising!